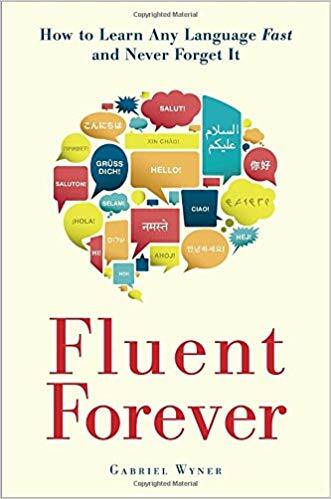 The best book on language learning that I’ve found. You can skip a lot of this if you have full immersion available to you, but either way, the techniques are useful for picking up a language quickly. Make memories memorable, create visceral experiences for words that are hard to forget. Your brain throws out most of the information it takes in, so you have to tie new information to old info and make it a full experience for it to stick. Skip English words and translations and use images instead. Use Google Image search for the word in the target language to create a visual representation of it. Do more recall, not more study. Push yourself to remember things, not just going over cards. Use a Spaced Repetition System like Anki to make sure you review things right when you would otherwise be forgetting them. Learn this first so everything else ahs a framework to “stick” to. Look up the strange sounds in your target language so you can get used to hearing them and making them. Start with the 625 or so most common words, as given on the Fluent Forever site. Learn the grammar after you have some initial words (the 625), this will make it easier to “fit” them in to the new structure. With the basic vocab and grammar, pick up some simple books in your target language and work on understanding them. A single book can add 500+ words to your vocab from context alone. Learn an initial set of 625 visual words so that you have a basic amount of understanding. Use SRS (Anki) to recall them. Learn the grammar through example sentences and flash cards, these example sentences will fill in the conjugations and other small words that make up sentences since they won’t be in your visual 625. Play the “language game” with media in your target langauge.